Peoples' Conference chairman Mr Sajjad Lone has earlier this week clarified on the social network that he has not held any meeting with Prime Minister Narendra Modi post the fall of PDP-BJP coalition. NEW DELHI: Amid reports of Handwara legislator Sajjad Gani Lone emerging as the front-runner for the Chief Ministerial race, senior PDP leader Haseeb Drabu confirmed his meeting with Mr Lone on Friday. Mr Drabu, who fell apart with former Chief Minister Mehbooba Mufti earlier this year, said it was only a "chance lunch" and so no much political importance must be given to it. "A chance lunch, a few light-hearted laughs, back-slapping bonhomie, that too in the presence of journalist friends, is made out to be a political potboiler! Can imaginations be put to better use?," tweeted Mr Drabu, who along with BJP general secretary Ram Madhav had helped the formation of alliance between the two parties in 2015. He also wrote, "These days it seems I surface at different places at the same time & there is a lot of interest in where I am who I meet, what I discuss. I will save you the trouble of finding out by updating #whereishaseebdrabu with my whereabouts." 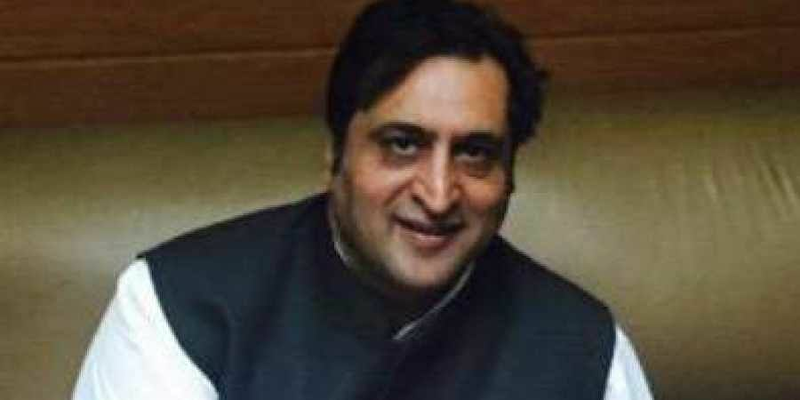 Meanwhile, days after Congress favoured pre-elections in the state and denied any possible alliance with National Conference or PDP; there is also a speculation that the BJP may now try to form an alternative government with the support of rebel PDP MLAs and may certainly include Mr Sajjad Lone in their plans. Peoples' Conference chairman Mr Sajjad Lone has earlier this week clarified on social network that he has not held any meeting with Prime Minister Narendra Modi post the fall of PDP-BJP coalition government in Jammu and Kashmir. According to sources in PDP and BJP, the speculation on formation of an alternative government gained momentum only after some PDP MLAs questioned Mehbooa Mufti's leadership and expressed their unwillingness for early elections. The coalition government of the Peoples Democratic Party and BJP fell on June 19 after the latter withdrew support "to protect the national interest." In the 89-member assembly, PDP has 28 MLAs, followed by BJP 25, National Conference 15, Congress 12, People's Conference 2 and CPI-M - 1 among others. In Srinagar, dissident PDP leader Imran Raza Ansari claimed that majority PDP MLAs "except a few" are with the rebel group.